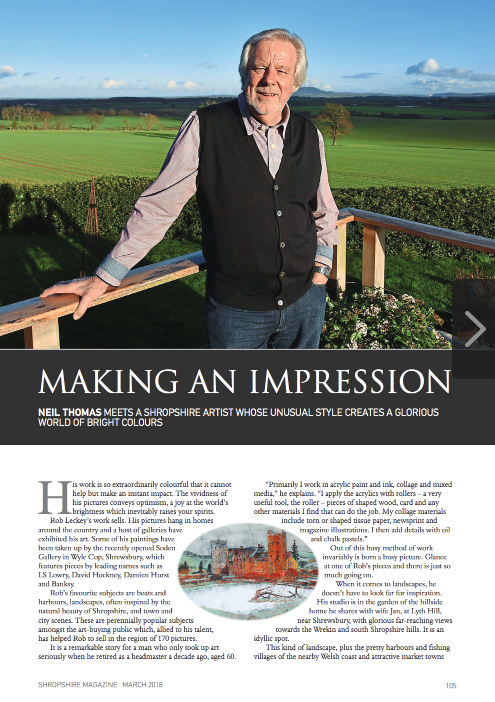 I am delighted to feature in an article in March 2018 Shropshire Magazine. 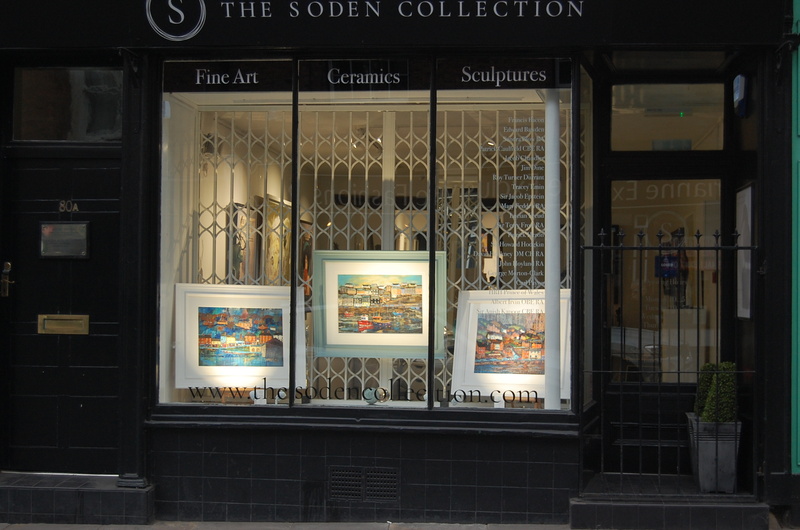 To coincide with the article I am the Feature Artist for the month with twelve of my works in The Soden Collection Gallery, Shrewsbury’s new stylish art gallery. 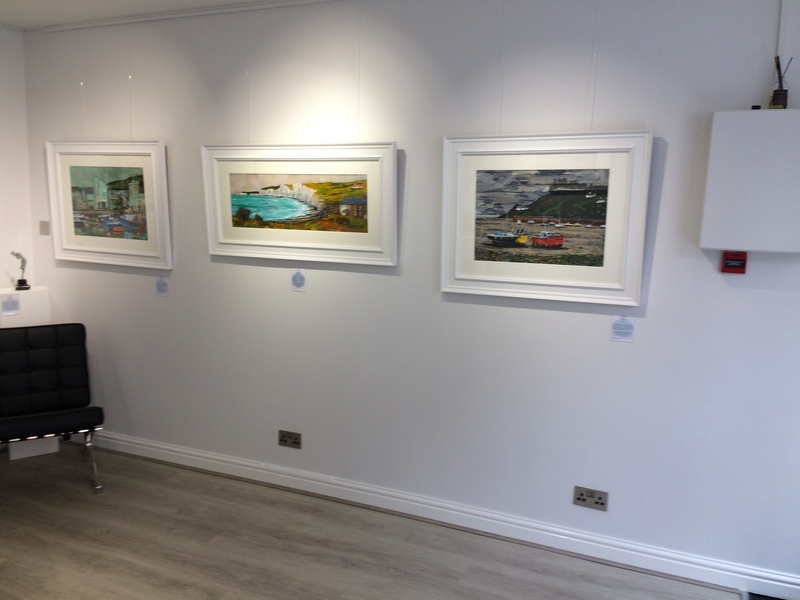 I have had successful solo exhibitions at The RBSA, Brooke Street, Birmingham and at Kerry Vale Vineyard Gallery. 2014 elected an Associate Member of The Royal Birmingham Society of Artists. Ironbridge Fine Arts and Framing, Merrythought Village, Ironbridge, TF8 7NJ. I have given Power Point illustrative talks to Ludlow, Bridgnorth, Trysull, Lichfield, Tamworth and Ironbridge Art Societies. I have also conducted art workshops in various Telford Primary Schools and with Bishop Castle, Taunton, Trysull, Lichfield, Tamworth, Oswestry and Bridgnorth Art Societies. Four of my works that were in The Vaults Gallery showing showing how they are framed. See the rest of my work grouped in the pages above. Hi Rob, Both Shelley and I are very impressed with your work, really like your style. Would love to get to the exhibition in Shrewsbury- will try and get there this sunday if we can. Hi Rob, it was my birthday last week and what a lovely surprise I got!! Ian told me that painting was sold after I admired it, what a fibber. It’s up in my living room and looks really great. I’m really pleased, thankyou. What an old romantic Ian is. We liked your work so much in the RBA exhibition. Many places familiar to us. We run a festival at St Stephen’s Church Gloucester Road SW7 4RL with an art exhibition from June 2 – 9 2013. We’d like to invite you to exhibit. Thank you for your comments, I am glad you like my work. I would be interested in exhibiting at your festival in June. Perhaps you can let me have the details. Hello Rob my name is Scott and i am a pupil at Campbell College Belfast. Currently i am working for my ‘A’ level exams and one of my focus on the topic of ‘Boats’ and whilist researching the internet for artists who have produced work on a similar theme and this is were i came across your work. I would be highly appreciative if you could respond to this as soon as possible. I will look forward to hearing from you soon. If I can be of any help, what have you in mind? Thank you very much for answering so soon Rob and i do apologize for how long it has taken me to replay. I was wondering if it would be ok for me to interview you via either on your website or by a email, to find out the relevent information I require. I know it is coming up to christmas and you might be busy coming up to it so i will send you 5 questions at a time. Hi Rob. Jus tdiscovered your work from The Artist and really love it. Do you give demostrations to groups. We are in Somerset, but could put you up for the night!! and make it worth your while – but it may be something you hate the thought of. Please let me know and then we can chat more. Many thanks for your invitation and I am delighted you like my work. Conducting a full demonstration with a completed work is difficult as I work in stages that require time for glue and ink to dry in between. Also generally the minimum time required per work is three to four hours. What I could do is a series of small demonstrations of how I shape and use the collage and apply paint with rollers, wood and cards. I could back this up with a Power Point presentation that I have to prepare for a talk I am giving next year on the construction of a painting. If you feel this may be appropriate I would be happy to consider your request. You can also contact me on 01743 872297. We could perhaps book you for a whole day workshop in 2014 aswell where we could have more time. The 25th June is not ideal for me but no doubt you have other possible dates. Do you have an email address that I can send a message to? I love your work and would like to find out about a possible painting as a present. Thanks for your comments, I am glad you like my work. I am sure our paths will cross as I am the treasurer for Shropshire Art Society. If you wish you can see more of my work at the Church Stretton Art Festival Exhibition starting 28th to 10th August as I am the “Guest Artist” and will be showing about 20 works. Yes, I hope to get along to Church Stretton so will come and say hello! You may or may not remember me but we met in Elys Wimbledon recently. Thank you so much for spending the time to chat about art and your work. It made a change from just the mundane things in my working life. I have financial security, but my love is art and writing and wish I could devote more time to them. I love the paintings on your web page. You are a true artist and an inspiration. i have so much more to learn, as as I mentioned I am still a novice – but am working on improving my art work. Maybe at some future date you will exhibit in London. It was a pleasure to meet a fellow artist. Thanks for visiting my website and I am glad you like my work. Next time I am in Wimbledon I will call in and check on how you are getting on with your work. I’ve heard Rob that you are off to my native Northumberland. Do you think you’ll be portraying Bamburgh Castle? If so could you let me know? You have heard correctly except that we have already visited Northumbria just over month ago. We had a great time and I came back with loads of photographs and inspiration. 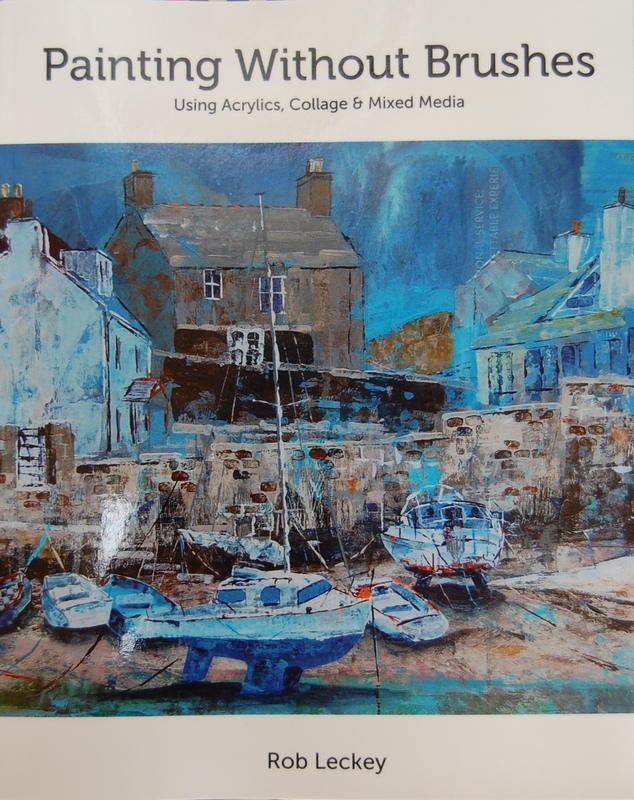 I have already completed 5 paintings including Lindisfarne, Dunstanburgh Castle, Craster and I am actually currently working on one of Bamburgh. All these will presently appear on my website and you are more than welcome to visit to see them first hand. Incidentally as a matter of interest how are you aware of our visit to Northumbria? I live in Church Stretton but was born in Alnwick. Long story short Sue Hockaday told me. She is a big fan of yours & worked hard on the CS Arts festival. I will drop you an email when I post the latest Northumberland series and thrust you like them. Good to hear from you. Really glad you finished your painting and have got it framed, from what I recall I can imagine the end result is really good. Jan and I had a great time with you all at Taunton, an event we will always remember. Should you make it to Shropshire let us know we can arrange to meet up. On Saturday 27th January we are holding an artists’ workshop with Pip Seymour and Rebecca Wallace, manufacturers of the Wallace Seymour range of acrylic, oil and watercolour paints. Their paints and materials have a growing reputation in the UK and beyond, and this is a unique opportunity to explore, experiment and learn with the makers. The workshop will take place between 10.00 and 4.00 in the Unitarian Church on Shrewsbury High Street. We’re limiting numbers to ensure that all attendees have a valuable and enjoyable experience (it will be fun! ), so if you would like to attend please indicate your interest as soon as possible. We have many of Seymour Wallace’s products available through our website, and more in the shop. We aim in time to have the full range of their products available either in store or on order. I have seen one of your Bridgnorth pictures and wondered if you sold them as prints? Primarily I work in acrylic paint and ink, collage and mixed media. The acrylics are applied with rollers, pieces of shaped wood, card and any found materials. Collage materials comprise of torn or shaped tissue paper, newsprint, and magazine illustrations. Details are also added with oil and chalk pastels. Like many artists my inspiration comes from the subject matter. Experimenting with colour, media and techniques is very rewarding. Realism is way down the list of my intentions. By the very nature of how I apply the collage, paint and inks I can never predict the outcome. Along the way many accidents happen, interesting colours and unique shapes emerge. All provided inspiration for my impressionist style. 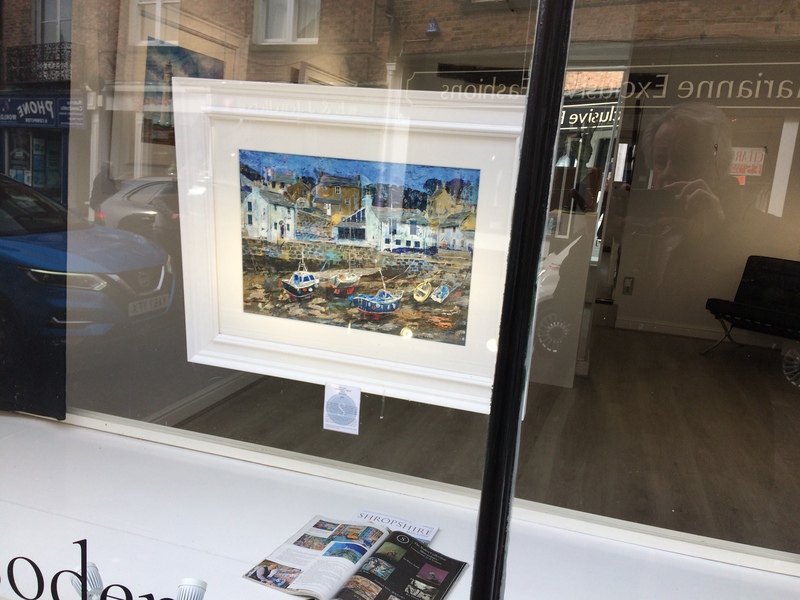 by Howard Franklin: Shropshire Life Magazine My favourite study was "St Ives", busy with fishing boats, in mixed media by Rob Leckey. Here we have a brush in the hands of a skilled painter, incorporating subtle graphics and highlights of ultramarine and sapphire blue to great visual effect.